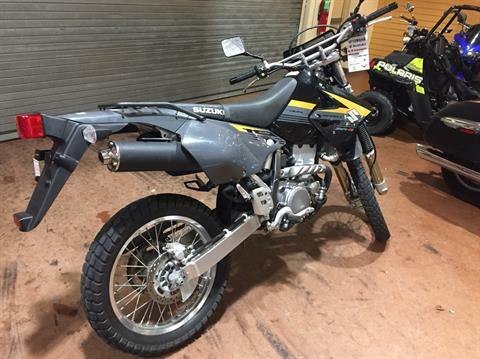 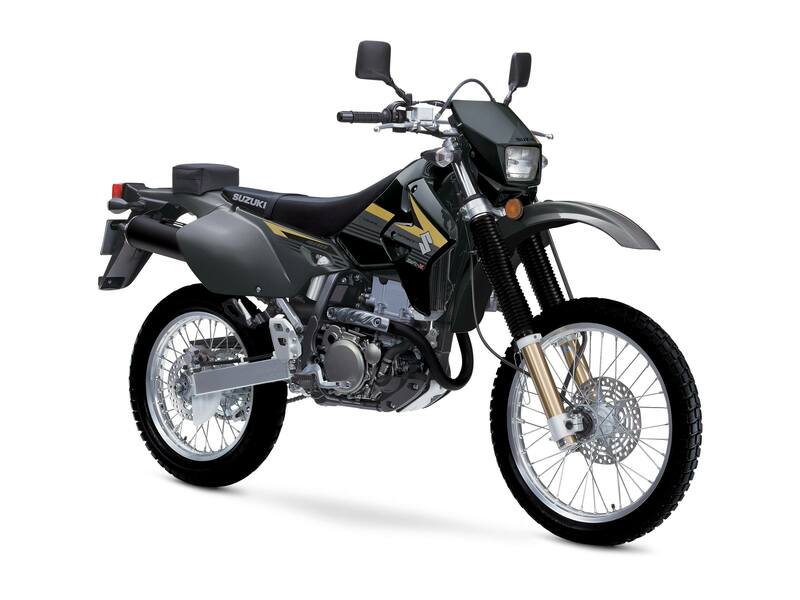 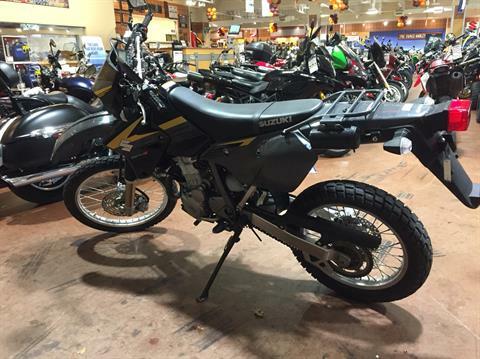 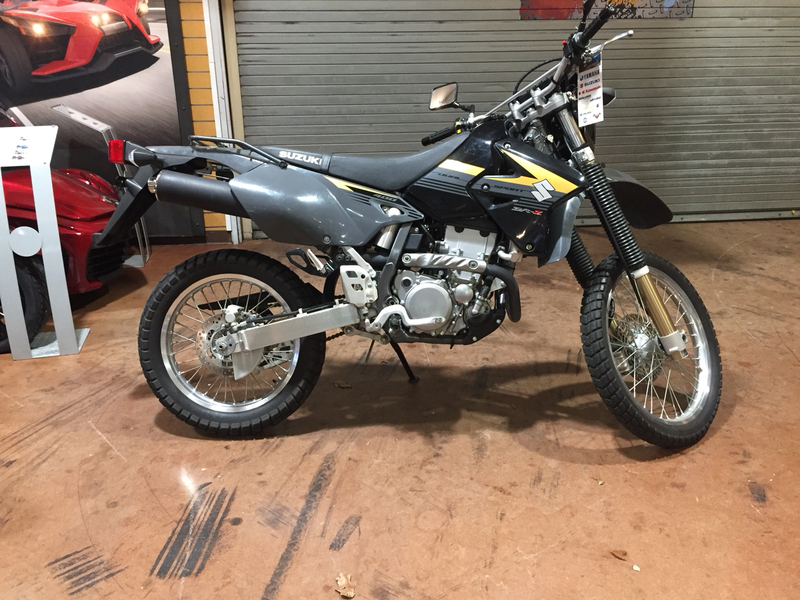 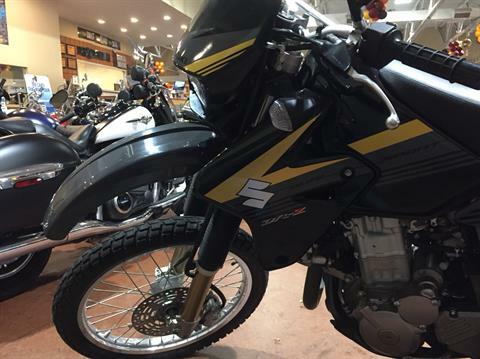 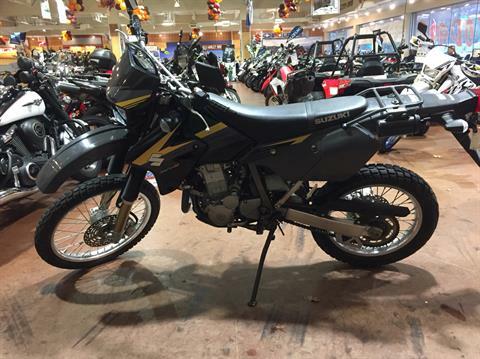 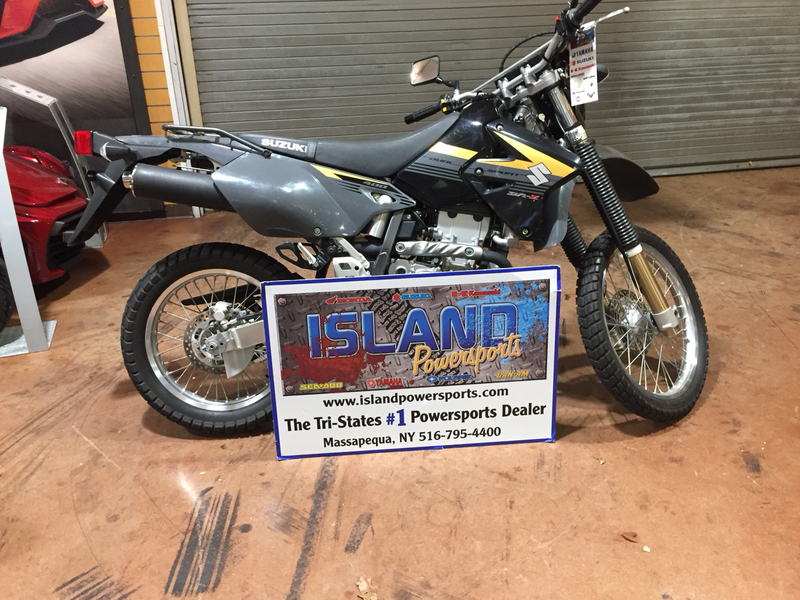 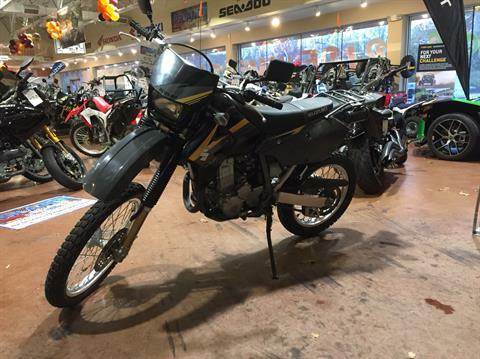 The 2016 DR-Z400S is ideal for taking a ride down your favorite off-road trail. 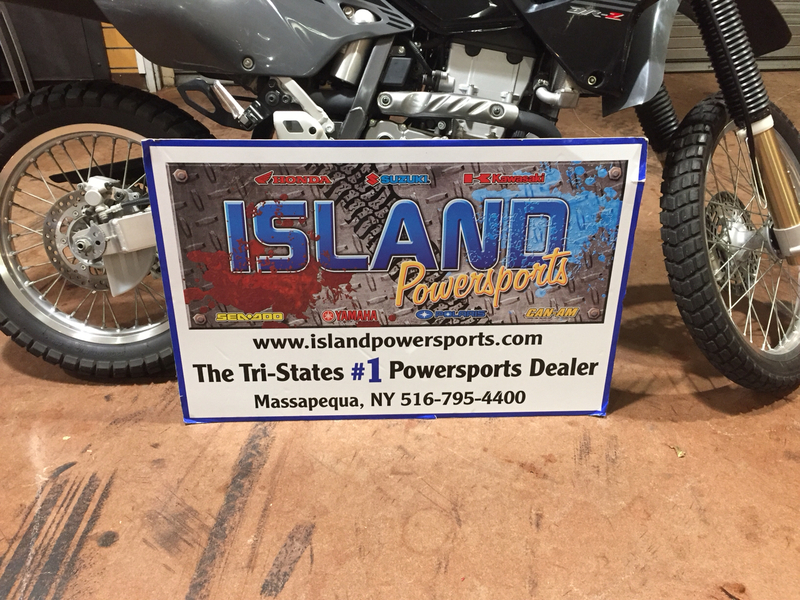 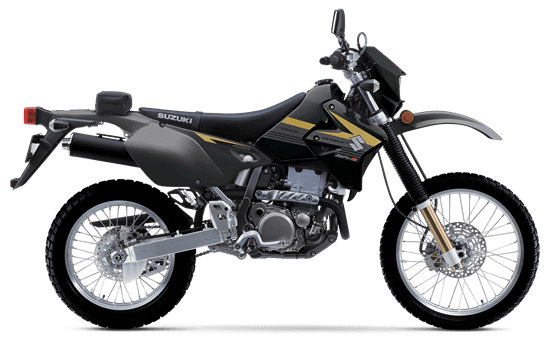 You'll be impressed with the amount of torque coming from the 398cc liquid-cooled power plant as well as the crisp handling from the adjustable suspension. 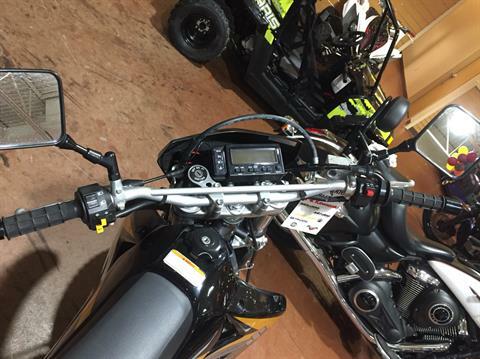 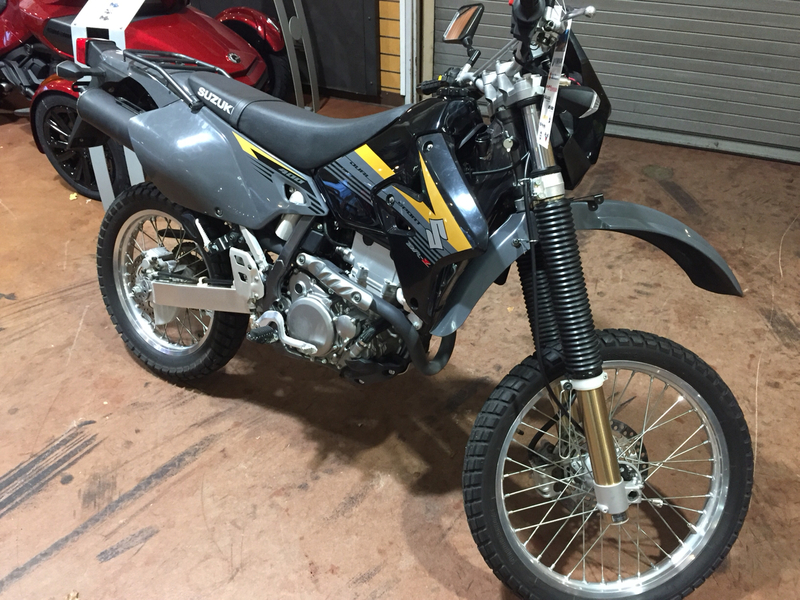 This bike is completely street legal with an electric start and easy-to-read instrument cluster. 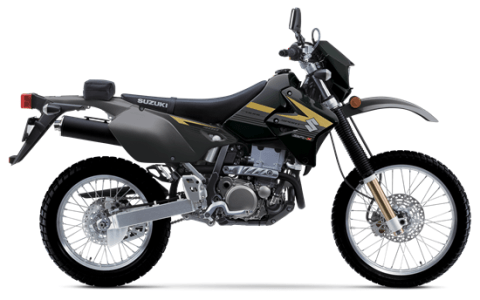 Whether you're on the highway or in a tight twisty forest trail, the Suzuki DR-Z400S can't be beat. Choose your own adventure. 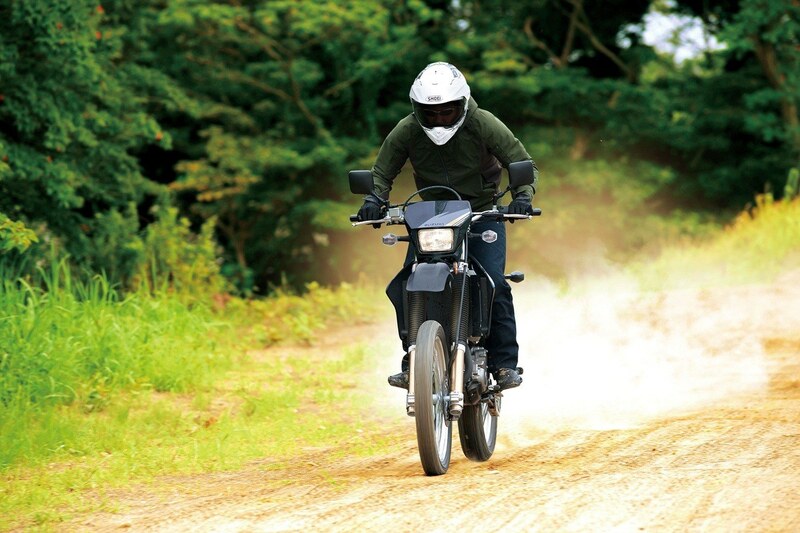 For those who love carving corners and the call of the wild, our DualSport machines deliver comfort on the street, control off the beaten path, and full command everywhere in between. 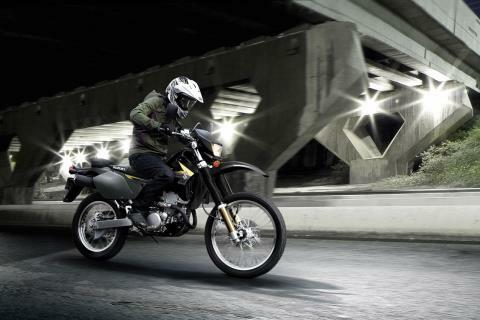 Get ready for an ideal combination of lightweight agility and crisp handling. The price is for financing with approved lender. If you are paying cash price will be $750.00 additional. 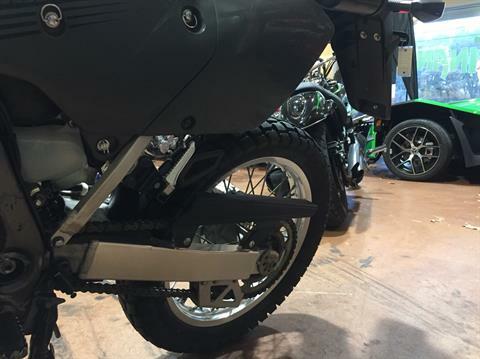 A narrow frame combines thin chrome-moly steel tubes for exceptional torsional rigidity with minimal weight. 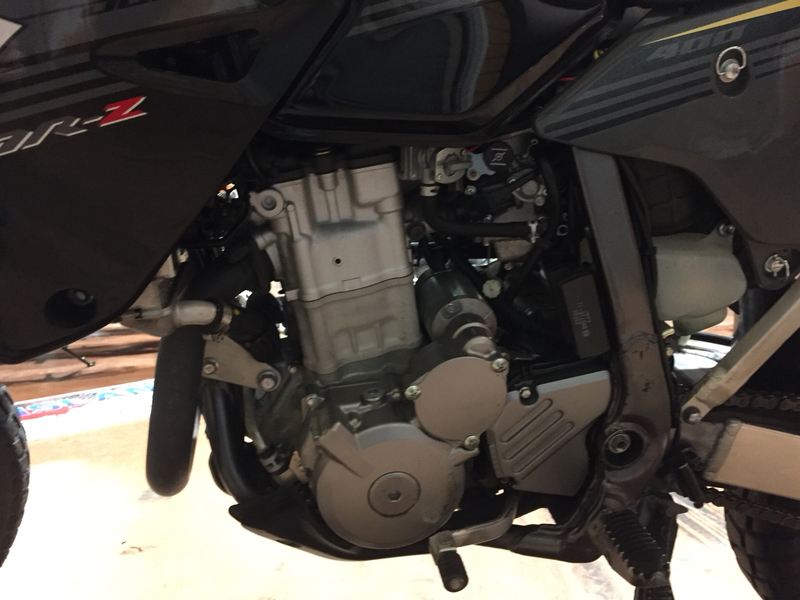 The backbone tube, front down tube and steering head gussets form the dry-sump engine oil tank. A bolt-on aluminum sub-frame helps reduce weight and simplify maintenance. Compact digital instrument cluster with speedometer, odometer, and twin-trip meters with addition/subtraction capability, clock, timer and stopwatch functions. Suzuki Composite Electrochemical Materials (SCEM) cylinder is durable, lightweight and provides superior heat transfer. 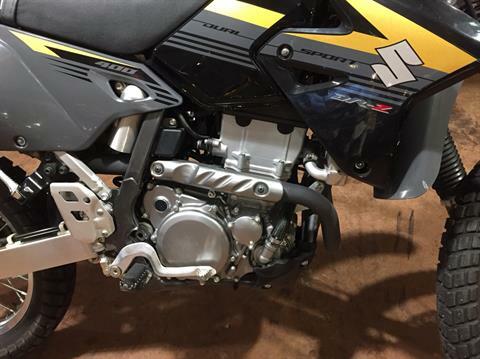 A Mikuni™ 36mm carburetor is fed by a 6-liter air box to achieve smooth throttle response. 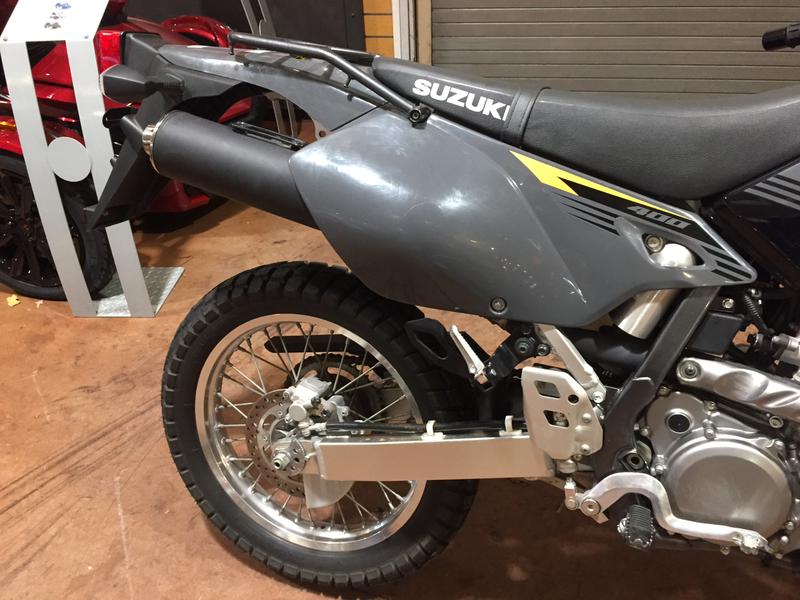 The left side cover has quick-release fasteners for easy access to the air filter. Magnesium-alloy clutch, magneto and cam covers contribute to the bike’s low weight.